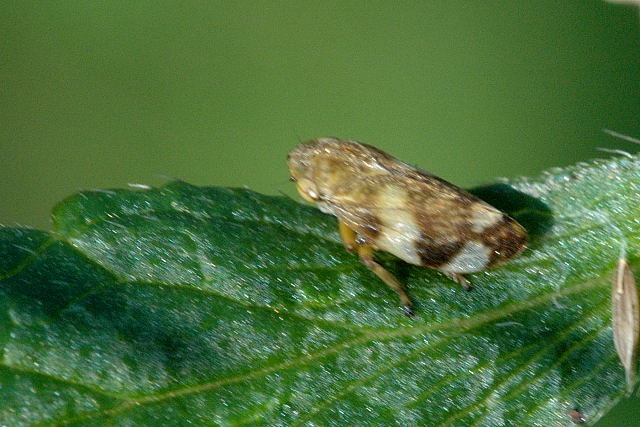 Given the dangerousness of the pathogen and the proximity of Tuscany to the infected areas of Puglia, France and Corsica, the Regional Plant Health Service has undertaken a series of actions in the area aimed at the surveillance, monitoring and control of Xylella fastidiosa. In Tuscany, Xylella fastidiosa monitoring began in 2014 and has continued over the years to date, with a progressive increase in inspections, visual checks, sampling and laboratory analysis. In total 9691 samples of plant material and pathogen vector insects were collected and analysed in 2018. The analytical results of the samples taken in 2018, processed using the molecular biology technique, were all negative until September. The analyses on the presence of the bacterium in vector insects were also all negative. Following one of the last surveys carried out at the end of October, the biomolecular analysis revealed a positive sample taken from some common brooms (Spartium junceum) located in the hamlet of Pozzarello, Municipality of Monte Argentario. In order to confirm the presence of the harmful organism and to better investigate the spread of the phenomenon, in November and December more than 1000 surveys were carried out in the Monte Argentario area, with 1120 samples taken from plants with symptoms potentially relating to Xf. The analyses carried out showed some other positive results, mainly on common broom, a spontaneous plant that is very common on the promontory and on buckthorn (Ramnus alaternus), on Calicotome sp. (typical shrub in tha area), almond tree (Prunus amygdalus) and Polygala myrtifolia (a very common ornamental plant). The analyses carried out by the Department of Agrifood Production and Environmental Sciences of the University of Florence have confirmed the presence of Xylella fastidiosa in some samples. The official confirmation of the presence of the bacterium in some samples was received on 6 December 2018 from both the laboratories accredited at the national level for the confirmation of the analyses for Xylella fastidiosa: CREA, Crop Protection Section of Rome, and CNR-Istitute for Sustainable Plant Protection, Bari Section. Moreover, the said laboratories also preliminarily determined the ‘Multiplex‘ subspecies of Xylella fastidiosa. This data is of particular interest considering that the subspecies present in Puglia is another one, the ‘Pauca‘. The same ‘Multiplex‘ subspecies is found on a variety of Mediterranean scrub plant species (e.g., polygala, helichrysum, calicotome, cistus) in Corsica. Different subspecies are found in Spain. Following the first positive sample, continuous inspections, sampling and testing were carried out to determine the actual scale of the outbreak and the origin of the infection. To date, 72 plants of the following species have been found to be positive: polygala (Polygala myrtifolia), common broom (Spartium junceum), cistus (Cistus spp. ), alaterno (Rhamnus alaternus), calicotome (Calicotome spinosa e calicotome sp. ), almond (Prunus amygdalus), lavender (Lavandula spp. ), Judas tree (Cercis siliquastrum), eleagno (Eleagnus angustifolia), fig (Ficus carica), rosemary (Rosmarinus officinalis). The infected plants were mainly found in areas with spontaneous vegetation, former crops, along the road network and in public or private gardens. No infected plants were found in licensed nurseries or active plant retailers. No olive trees were found that were infected by the bacterium. Following the discovery of the outbreak, on 17/12/2018 has been adopted the resolution n. 1463 of the Regional executive, relative to the ‘Approval of the action plan for the eradication of the Xylella fastidiosa outbreak on the territory of the Tuscany region’ which defined the methods for implementing monitoring activities in the buffer zone and eradication measures in the infected areas, in order to guarantee a rapid, effective and coordinated response to the detection of the Xylella fastidiosa pathogen in the territory of Monte Argentario. Read the full article by Servizio Fitosanitario Regione Toscana.